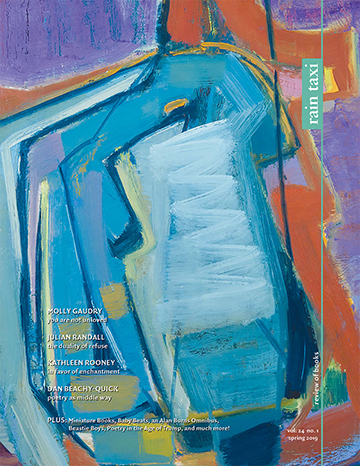 The mark of a well-written book is layers: “It sounded good, but there was a threat behind her words.” To be clear, after a quotation such as that, Song of the Orange Moons is not a thriller—except in the way that all coming-of-age stories are scary and exhilarating—but there is an intensity behind each of author Lori Ann Stephens’s carefully chosen words that makes this short yet still sprawling history of three females so enjoyable to read. There are several ways to portray young characters well, and many more ways to turn every descriptor into a blinking red arrow. Stephens is solidly in the former camp. At one point, Rebecka is “watching a loaf of bread tucked under a thin cloth”; at another, she describes a silence as so deep that “I can hear my nose whistle.” When their aunt says someone else changes her hair color “like a whore changes underwear,” Helen and her siblings giggle not at the first noun, of which they have no understanding, but at the second. Yet with a subtlety that can’t be pinpointed in one stand-alone phrase, Rebecka convinces the reader that she at once believes that the sun sleeps in Helen’s west-backing house and understands that it cannot be so. In such ways, Stephens shows great skill in negotiating Rebecka’s late grade-school age. 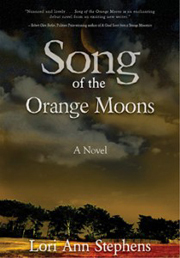 Song of the Orange Moons is not a perfect book; more cross-description between the characters, for example, would have been welcome, and because Stephens so clearly takes care in making each phrase matter, the few times she slips stand out. But one of the best compliments a reader can give a writer is to pay this kind of attention. We hear every word Rebecka, Helen, and Adelle are kind enough to give us.